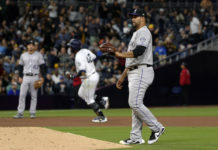 The Colorado Rockies (81-65) secured an ever-important three-game series victory over the Arizona Diamondbacks with a 10-4 beatdown at Coors Field Thursday afternoon. The win over Arizona (77-70) is Colorado’s second consecutive and moves Colorado’s lead in the division to two full games over Los Angeles. 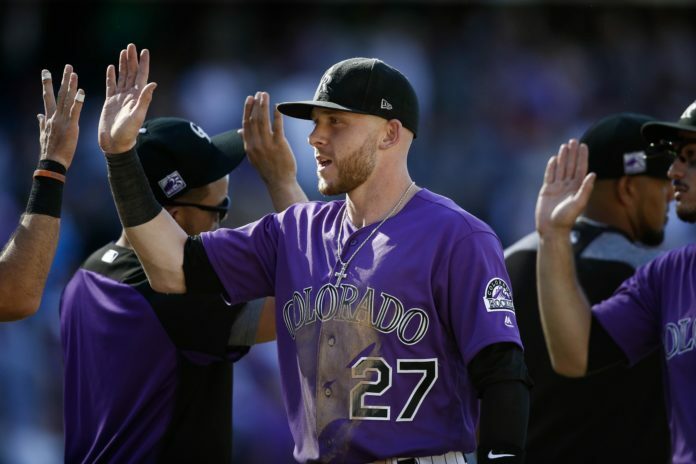 With Kyle Freeland on the mound, the Rockies cruised to victory. The second-year starter went 6.1 innings, gave up four hits and three runs. 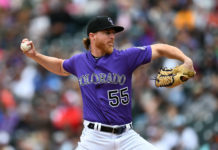 Freeland picked up his 15th win of the season and once again allowed the Rockies to be competitive by limiting traffic on the basepaths. Along with the strong performance from Freeland, Colorado’s offense exploded for 16 hits. Two of those hits were home runs from Nolan Arenado and Trevor Story off of Arizona’s starting pitcher, Matt Koch. Both of these players have produced for the club all season and with Thursday’s performance, Arenado and Story each made Rockies history. (1/2) Nolan Arenado’s first-inning home run gives him 100 RBI on the season, making him the fourth player in Rockies history with four seasons of 30 home runs and 100 RBI (also: Castilla, Helton, Walker). With his first inning home run against the Diamondbacks, Arenado recorded his 100th RBI of the 2018 season. Arenado joined an elite club of Vinny Castilla, Todd Helton and Larry Walker as the only players in Rockies history to have four seasons with 30 or more home runs and 100 RBI. Story’s third inning home run (33) also set a new single-season record for home runs by a Rockies shortstop. Story surpassed Troy Tulowitzki’s 2009 total of 32 dingers. 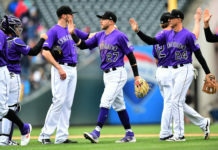 Following Thursday’s victory over the Diamondbacks, the Rockies will start a three-game road series at San Francisco on Friday night. First pitch is scheduled for 8:15 p.m. MT.